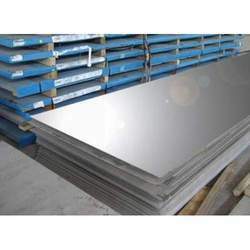 We are one of the prominent exporters and wholesalers of Monel 400 Plates that are designed using quality assured alloy materials. These products are machined to perfection and are strictly quality tested to comply with the international standards and norms. Our Monel 400 plates are also custom-made as per the specification of our clients. Our gamut Monel 400 Plate – UNS N04400 is procured from reliable vendors and are complied with Mill test Certificate as per the EN 10204/ 3.1B standards. Our range also offers value added services which includes: bending, forging, cutting, rolling, heat treatments and some minor fabrications. These available in a variety of sizes and dimensions: 5 mm To 50 mm thick in 1000 mm TO 1250 mm width & 2500 mm Length. Moreover, these products can be availed in different types such as Sheet, Plates, Flat, Strips, Profile, Blank, Circle, Ring and many more. Looking for Monel 400 Plates ?